We were fortunate to have such a fantastic year in real estate at the beach in 2018. RE/MAX Southern Shores agents generated over $500 million in sales, confirming that the company is once again number one in Horry and Georgetown counties. 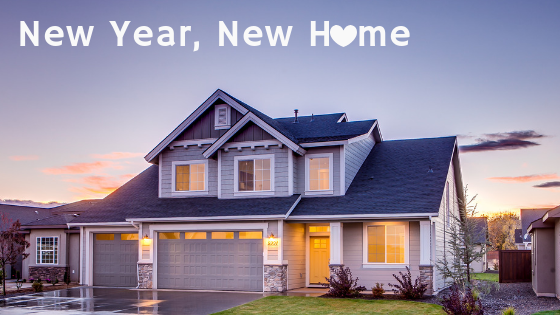 The momentum looks to continue into 2019, and if you are one of the many looking to move to the beautiful Carolina coast, we have some tips on how to better prepare yourself when finding your next home. Everyone is different. Depending on the size of your family, lifestyle, school district and job location, you may want to live closer to the water, near a park, not have an HOA, etc. There are numerous living options available in Horry and Georgetown counties that include condominiums, apartment complexes, townhouses, single-family homes, manufactured homes, or more of a rural environment with a large plot of land. Once you establish your immediate needs and wants, it’s time to call a reliable and trustworthy real estate agent. House hunting can quickly become a daunting task, so it’s helpful to have someone on your side that has your best interests in mind to help you at the negotiating table and keep you focused as you look at properties. You need an agent not only with experience and knowledge of the area, but that is compatible with your personality. You’ll be spending a lot of time together and will want someone that understands you and your communication preferences. Setting these expectations ahead of time is key. It’s worth taking the time to interview several agents before choosing the right one. Let our agents put together a list of homes based on your preferences, schedule showings and introduce you to the amazing homes that are available in our area. Your credit history determines how much money you will receive if you need a loan from a lender. If you’re ready to consider home ownership, you must make sure your credit is in the best shape possible. Double check that there are no errors on your credit report. A quarter of Americans have found an error on their report, according to the Federal Trade Commission. Don’t forget to pay your bills on time and keep in mind your credit utilization. A mortgage lender will help guide you through the process of realizing how much you can spend on a home, how long it will take to pay off and any special offers that are available to you. Fortunately, we work closely with reliable, local mortgage lenders and banks that offer our agents’ clients and customers a wide variety of programs, options and rates while displaying excellent customer service. Once you have your mortgage pre-approval, if applicable, you’ll have a good idea of how much your monthly payment will be. If you’re a brand-new homeowner, you may not be aware of all the taxes, insurance, ongoing maintenance costs and sometimes, homeowners association dues that are associated with owning property. A budget can help you create a realistic picture of how much it will cost to own your house. And, very importantly, do not make large purchases right before you are ready to buy a home. This is a huge red flag for lenders. Therefore, buy the beach house first, then the furniture. Are you ready to begin the homebuying process, downsize or upgrade? Contact us today and we will connect you with a reliable, experience real estate agent that fits your needs.